Prototype: 4 tank cars for different American companies for the time period at the end of the Fifties. 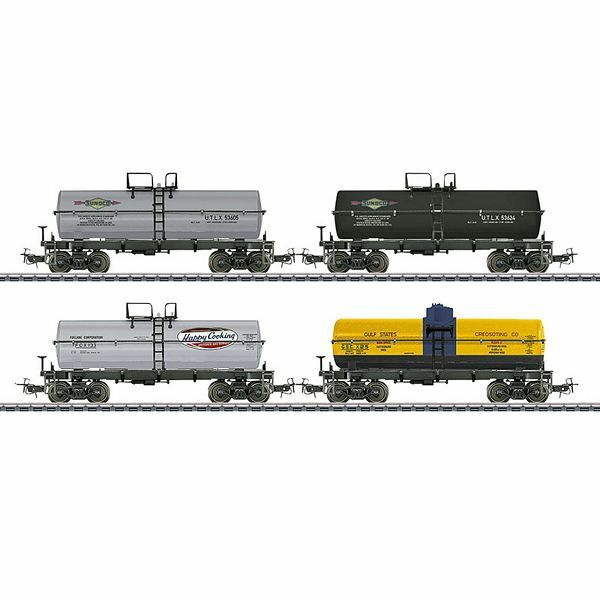 Model: This is a set with 4 tank cars for different American companies. All of the cars have Relex couplers. All of the cars are individually packaged. Length per tank car 12.5 cm / 4-15/16".